Quality saves time and money! In software projects quality saves time and money!. Therefore, the most obvious method to reduce our development cost is to improve the quality of the product and decrease the amount of time spent debugging and reworking our software. This analysis is confirmed by external field data. In a review of 50 development projects involving over 400 work-years of effort and almost 3 million lines of code, a study at NASA's Software Engineering Laboratory found that increased quality assurance was associated with decreased error rate but did not increase overall development cost. Statistical analysis conducted at IBM found that software projects with the lowest levels of defects had the shortest development schedules and the highest development productivity. They explained their findings by staying that software defect removal is actually the most expensive and time-consuming form of work for software (Jones, Capers 2000: “Software Assessments, Benchmarks, and Best Practices.” Addison-Wesley). Because the duration at which a software defect stays in a program is directly correlated with the cost of fixing it, quality practices should focus on solutions that enable to remove and/or detect errors as soon as possible in each stage of the project lifecycle. Indeed other studies have proven that one of the most important cost factors is the time in which errors are found. The longer the defect stays in the software production chain, the more damage it causes further down the chain. Since requirements are done first, requirements defects have the potential to be in the system longer and to be more expensive. Defects inserted into the software upstream also tend to have broader effects than those inserted further downstream. Based on book “Code Complete” and studies* -> Fagan 1976; Leffingwell 1997; Willis et al. 1998; Grady 1999; Shull et al. 2002; Boehm and Turner 2004. “The game consists of 10 frames as shown above. 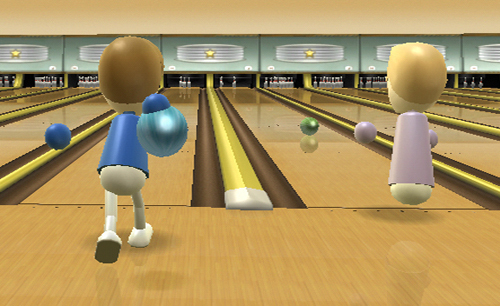 In each frame the player has two opportunities to knock down 10 pins. The score for the frame is the total number of pins knocked down, plus bonuses for strikes and spares. You can find my C# solution here, but you should not look at it before you tried to implement it by yourself. You need to build an application for the IPad or IPhone but you don’t have the time to learn objective-c and cocoa. The good news is that you don't need to! The first line uses the Html5 doctype and the header links to jQuery. We uses two buttons, one to create the profiles in the browser local storage and another the send the profiles to the server. When the user click on the create button the createSubscription function is called, this function is responsible for serializing the data into a Json object and to store it in the isolated storage. 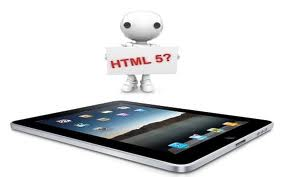 Isolated storage is a feature defined in the Html5 spec. For each domain the browser provide access to private key/value pair collection where data can be stored and retrieved. The sendData button is attached with an anonymous function that iterate over the key/value pair collection that contains the JSON serialized subscriptions and post the JSON serialized subscription object. //We return the email so that when a subscription has been successfully stored we can remove it from the localstorage. //When server side validation fails we return in the details about the validation rules that failed. string errorMessage = "<div class=\"validation-summary-errors\">"
Now you should be able to test the application. Set a breakpoint on the Save method of the SubscriptionModel. When you enter data in the form and push on create profiles are added to the local storage, when you click on send you should hit the breakpoint and all properties of the model should been set. To be able to load the application when we are offline we need to use a new feature available in the latest browser like IE9, the Html5:”offline application”. More info of this feature can be found here. You will also need to change the http header that is returned by the IIS server when serving the manifest file. Therefore in IIS7 you need to click on HTTP Headers, open IIS console manager, navigate to the cache.manifest file, click on http headers, add for the name set-> manifest,value->text/cache-manifest. You should also add your own image files (applogo & startuplogo) in the content folder so that the startup and app icon is set on the IPhone. This small code block of c#2 replaces the entire Iterator class. The trick here is in the yield return statement. When you write this statement you actually ask .Net to create a state machine for you. This statement is keeping track of what we were doing when we last returned a value. Every time the yield return statement is hit the method returns but when the calling method ask for the next element in the IEnumerable collection you re-enter the method just after the last yield return statement as you would never have left it. All the state of the local variables inside the IEnumerator method is preserved. What is also important to understand is that trick is not performed by the runtime but by the compiler so you don’t incurs real performance lost. Remove the iterator class from the listing and replace the call to the iterator class, inside the iteration sample(line 29), by using the yield operator of C#2. The output of the Problem() method should remain the same. The result is: xhello The thing here is that because the stringbuilder is a reference type, when you change the content of the stringbuilder inside the method AppendHello() this change is reflected in the caller method –> Problem() but when you set the stringbuilder to null this change is not visible inside the caller method. This is because in .Net all parameters are passed by value, even reference types. For reference types it’s not the value of the object itself that is passed by value but a pointer to the underlying value (the reference). The pointer is copied on the stack and is passed by value. When you change the value inside the called method this change is reflected in the underlying value and is visible for the calling method. When you set the pointer to null inside the called method you only destroy the copied pointer not the underlying value. With this post I’ll start a series about programming puzzles and kata’s. These small exercises will focus on the specific features of C#1,2 & 3. What is the output of: ValueRef.Problem() ? Create a WCF service and client, using Msmq, programmatically I've updated the MsmqFactory class. /// Is the queue on a device connected to active directory.